I made this really quick birthday card with the Clean and Simple Stamping FTL#151 here. The Crumb Cake card stock base was run thru the Big Shot with the Houndstooth Textured Impressions Embossing Folder. I added a piece of Pacific Point DSP from the Patterns DSP Brights Stack. 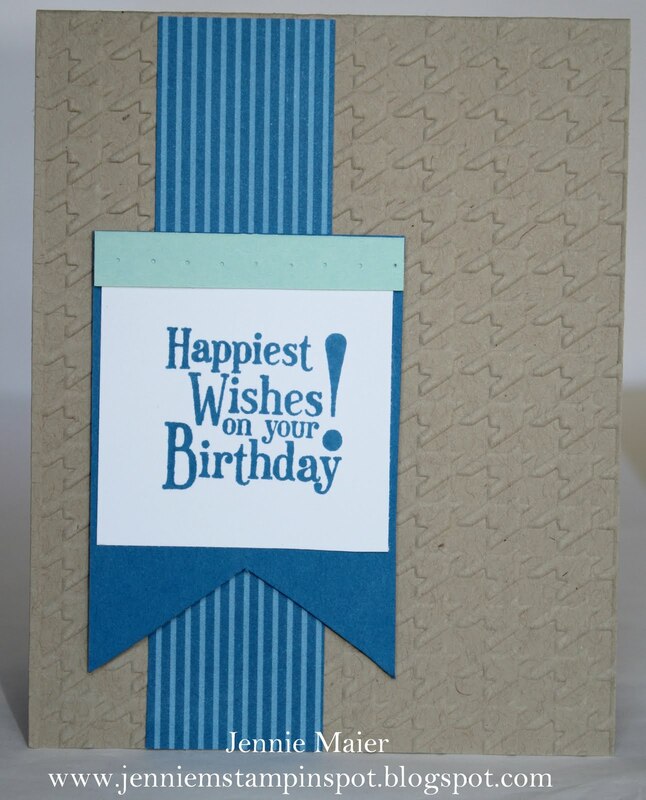 I stamped the sentiment from Happiest Birthday Wishes in Pacific Point in Whisper White. I added a strip of Pool Party and used my Paper Piercing tool to add some dots at the top. 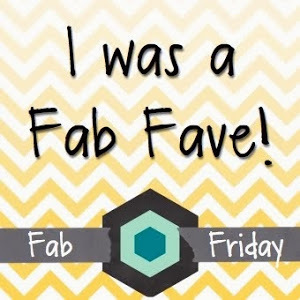 That was all layered on top of some Pacific Point card stock, cut out to look like a banner at the bottom and popped up with Stampin' dimensionals. I made this sympathy card for two challenges. 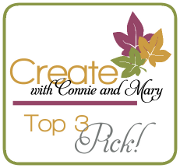 First, the Create with Connie and Mary Sketch Challenge#160 here. 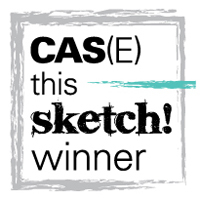 And second, the PPA#104-CAS-Paper Piercing, here. I started with Old Olive card stock for a base and added three of the papers from Paisley Petals DSP. 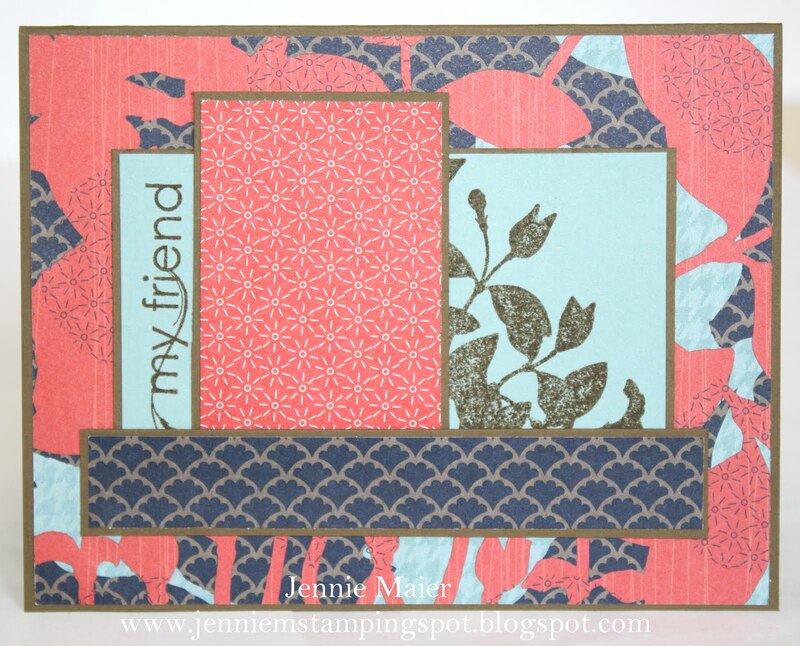 I colored in the stamp from Pocket Silhouettes with my Old Olive and Calypso Coral Stampin' Write Markers. I pierced holes in the Whisper White piece with my Paper Piercing tool. I matted that with Old Olive and popped up the entire panel with Stampin' dimensionals. I stamped With Sympathy from Teeny Tiny Wishes in Old Olive and punched it out with the Word Window Punch. I layered that onto an Olive piece punched with the Modern Label punch. Finally, some 1/4 inch Old Olive grosgrain finishes it off. I made this thank you with the Clean & Simple Stamping FTL#150 here. 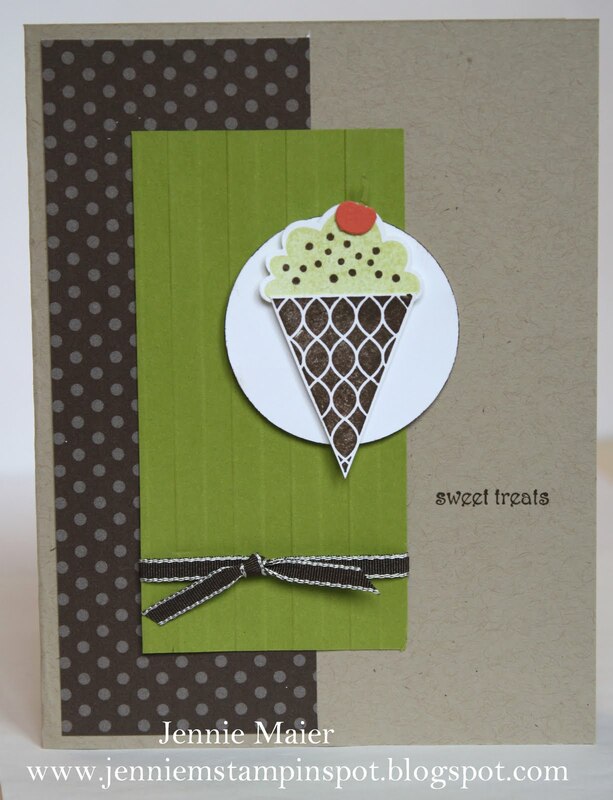 The base is Lucky Limeade card stock and then I added two patterns from the Cheerful Treat DSP. I stamped the flowers from Printed Petals in Melon Mambo, Bashful Blue, Lucky Limeade and Concord Crush. 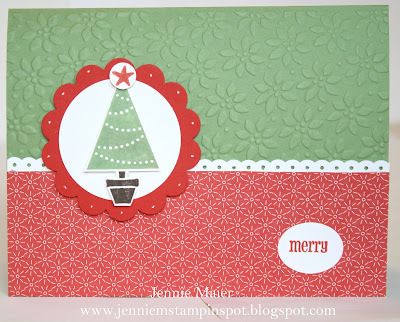 I used the 1 3/4 inch Scallop Circle punch on the Mambo one and popped it up with Stampin' dimensionals. I used the Itty Bitty Shapes Punches pack on the Limeade flowers. Finally, I stamped thanks from Thank You Kindly in Melon Mambo. I made this customer thank you card with the Splitcoast Sketch#343 here. The base is Wisteria Wonder card stock and then I added five of the different papers from the Berry Blossom DSP. 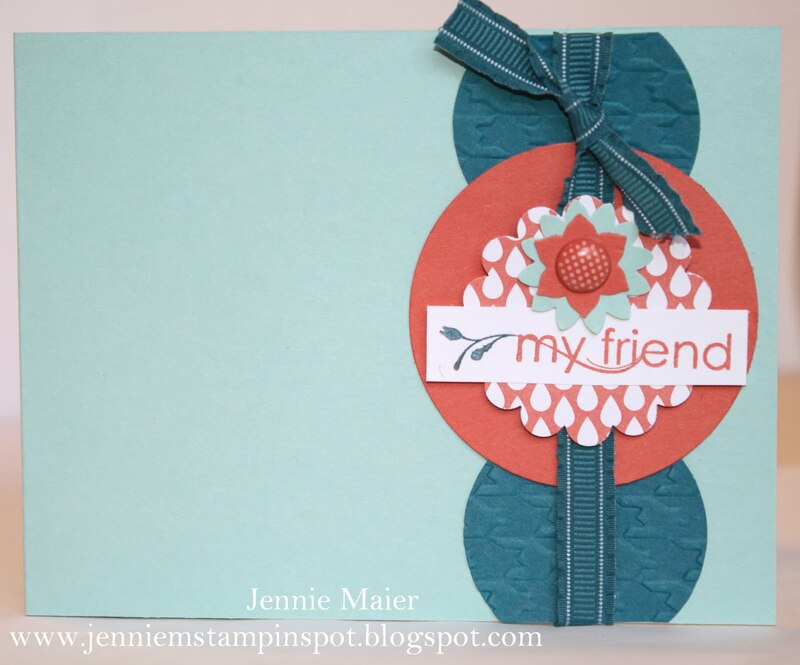 I stamped the flower from Fruit and Flowers in Lucky Limeade and again in Calypso Coral, punching the Coral piece out with the 1/2 inch Circle punch and popping it up with a Stampin' dimensional. I added a Coral piece punched with the 1 3/8 inch Circle punch and a Wisteria piece punched with the 1 3/4 inch Scallop Circle punch. I added the dots with my White Gel pen and popped up the entire piece with Stampin' dimensionals. I stamped thanks so much from Trendy Trees in Lucky Limeade, punched it out with the Word Window punch and added a Limeade piece with the Modern Label punch. Finally, some 3/8 inch Lucky Limeade Ruffled ribbon finishes it off. I made this birthday card for my nephew using the Stamping 411 Sketch#213 here, and the Splitcoast Color Challenge#333 here. The colors to use are Island Indigo, Tangerine Tango and Daffodil Delight. I started with a base of Island Indigo card stock, added some Tangerine Tango and then some Patterns DSP Bright Stack paper. I ran a piece of Daffodil Delight thru the Dotted Scallop Ribbon Border punch. 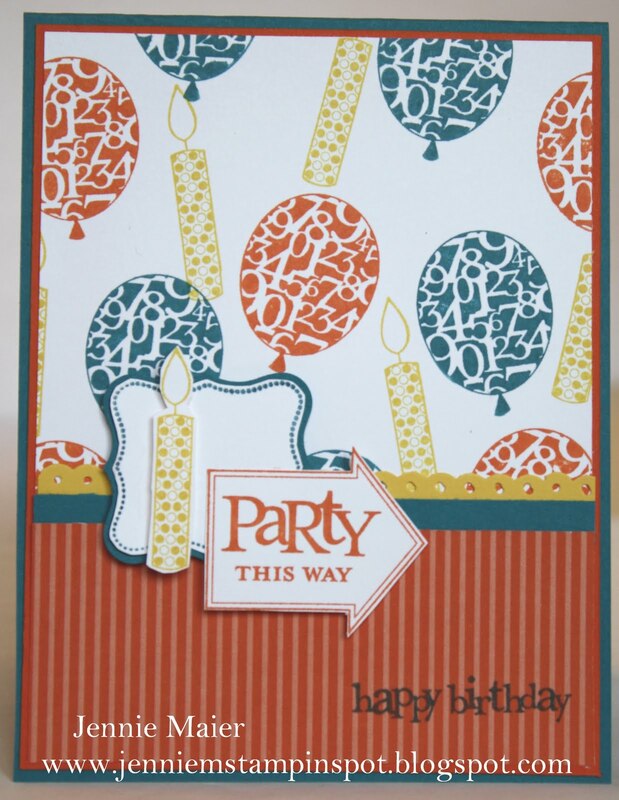 I stamped the balloon and candle images from Party This Way in Island Indigo, Tangerine Tango and Daffodil Delight. I colored in the label from Perfect Punches with my Island Indigo Stampin' Write marker, omitting the "my friend". I trimmed that down and added an Indigo piece with the Curly Label punch. I popped up that with Stampin' dimensionals. I stamped the candle again in Daffodil, cut it out and popped it up with Stampin' dimensionals. I stamped Party this Way in Tangerine Tango, cut that out too and popped it up with Stampin' dimensionals. Finally, I stamped Happy Birthday in Island Indigo. I made this thank you for two challenges. First, the PPA#103 Sketch Challenge here, and then for the Create with Connie and Mary Color Challenge#159 here. The colors to use are Regal Rose, Marina Mist and Sahara Sand. Sahara Sand is the card stock base and then I added some DSP from both the Patterns DSP Brights and Neutrals Stacks. I used my Stamp-a-ma-jig to stamp the butterfly outline from Flight of the Butterfly in Sahara Sand and then to add the butterfly flowers in Regal Rose. I stamped the sentiment in Marina Mist. The little flowers were stamped in all three colors. 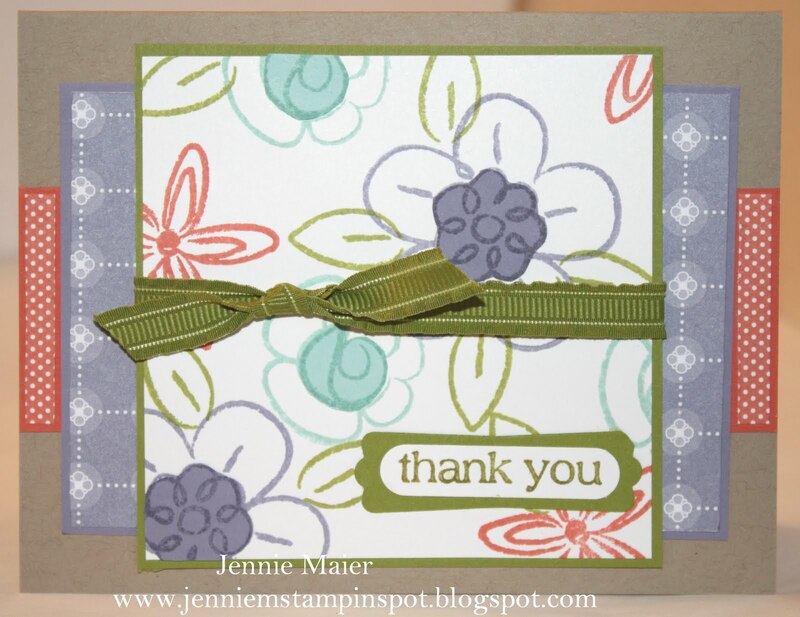 I stamped thank you from Teeny Tiny Wishes in Regal Rose and punched it out with the 1 inch Circle punch. 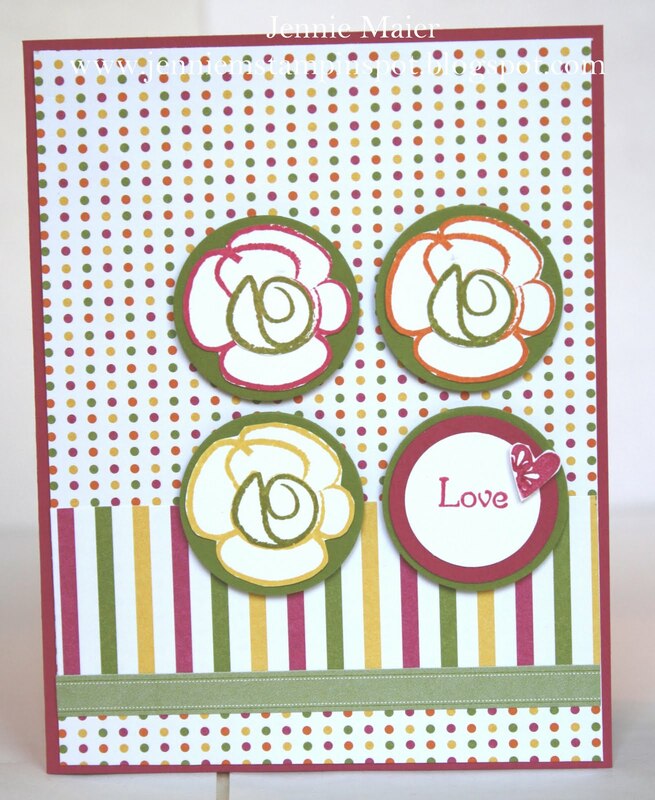 I added some Regal Rose punched with the 1 1/4 inch Circle punch and popped up the circles with a Stampin' dimensional. Finally, some 1/8 inch Marina Mist taffeta finishes it off. I made this card for my Open House to showcase the In-Colors with the new Pennant Parade set. I was inspired by this card by Monica Hornof, but changed mine up a bit. The base is Island Indigo and I added some First Edition Specialty DSP. I stamped the hats and little asterisk in Calypso Coral, Lucky Limeade, Pool Party, Island Indigo and Wisteria Wonder. 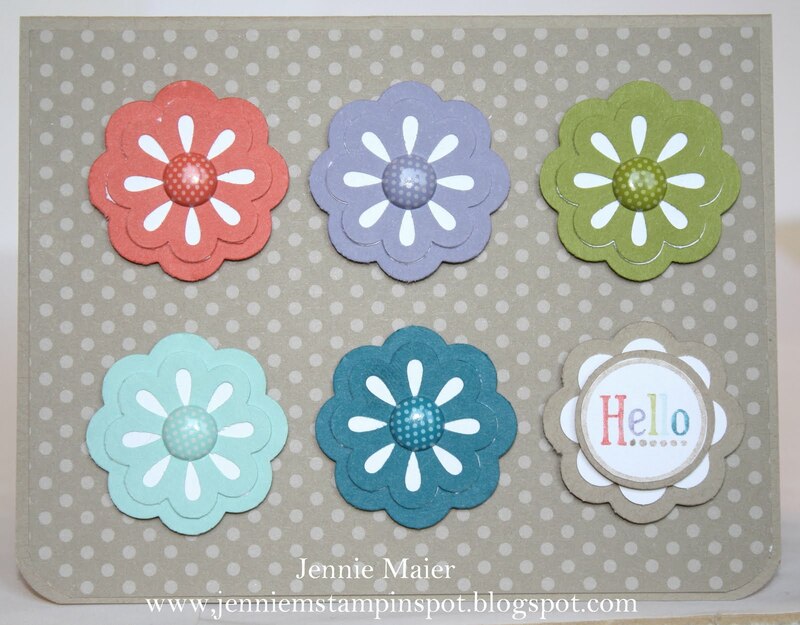 I used the Itty Bitty Shapes punches pack on the circles and added the new Silver Mini brads to the centers. All of the hats were popped up with Stampin' dimensionals. 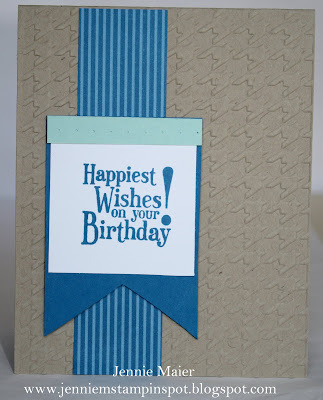 I stamped the sentiment from On Your Birthday in Island Indigo and punched it out with the Large Oval punch. That was layered onto an Indigo piece punched with the Scallop Oval punch. Finally, some 3/8 inch Island Indigo ruffled ribbon finishes it off. 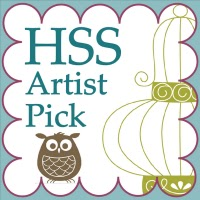 This quick and easy card uses the Splitcoast Sketch#342 here. The base is Soft Suede card stock then I added papers from Pocketful of Posies DSP. I stamped the flowers and sentiment from My Friend on the Baha Breeze piece with Soft Suede ink. I was making some samples for my Open House today and I used the Pennant Parade set for this cute Christmas card. 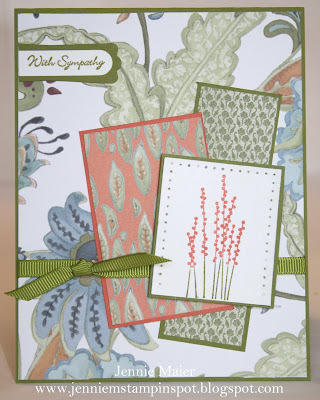 I ran the Wild Wasabi card stock base thru the Big Shot with the Petals-a-Plenty Textured Impressions Embossing folder. I added some Poppy DSP from the Pocketful of Posies DSP. I ran a strip of Whisper White thru the Dotted Scallop Ribbon Border punch. The tree was stamped in Wild Wasabi and cut out. The base is in Early Espresso and the star in Poppy Parade. I punched out the star with the Itty Bitty Shapes punches pack. The 1 3/8 inch Circle punch was used on a Whisper White piece and the 1 3/4 inch Scallop Circle punch on the Poppy piece. I added dots with my White Gel pen and popped up the entire scalloped circle with Stampin' dimensionals. Merry from Pennant Parade was stamped in Poppy Parade and punched out with the Small Oval punch. I made this for the Stamping 411 Sketch#212 here. 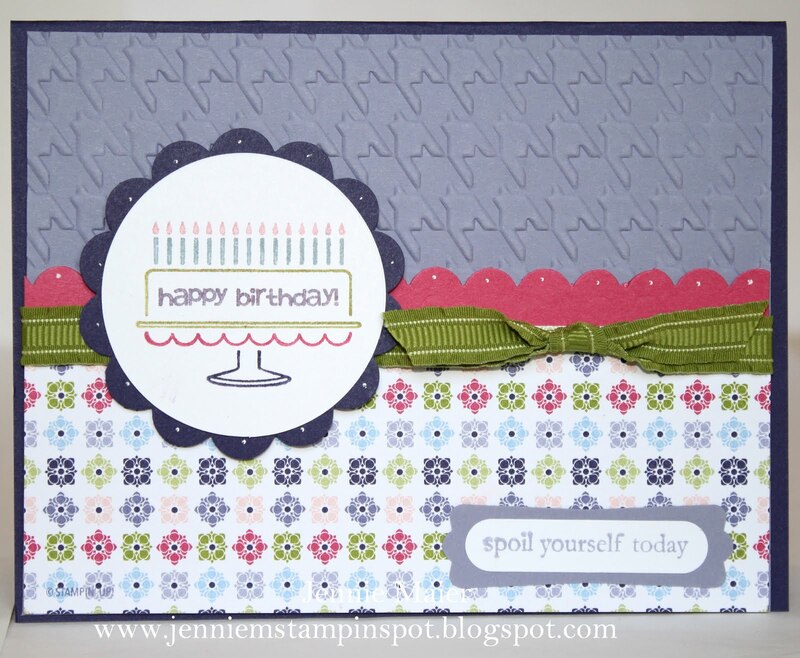 It uses Bring on the Cake and On Your Birthday stamp sets and Just Add Cake DSP. The base is Early Espresso card stock and I added three papers from the Just Add Cake DSP. I ran some Early Espresso and Wasabi from Just Add Cake thru the Big Shot with the Top Note die. I used my Coluzzle circle cutter to cut the Whisper White circle and the 2 1/2 inch Circle punch for the Espresso circle. I colored the stamp from Bring on the Cake with my Early Espresso and Wild Wasabi Stampin' write markers. 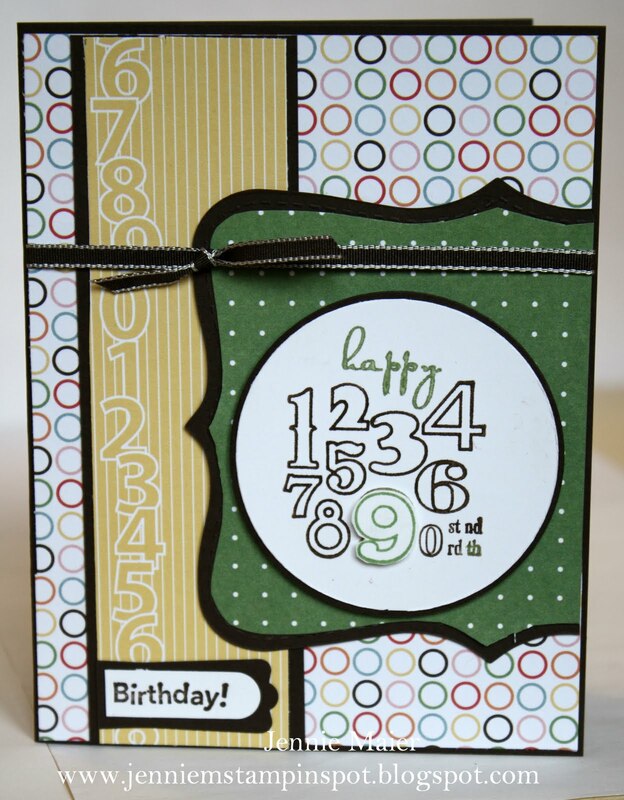 I stamped the number nine again in Wasabi, cut it out, and popped it up with a Stampin' dimensional. I stamped birthday from On Your Birthday in Early Espresso on Whisper White and punched it out with the Word Window punch. An Espresso piece was punched with the Modern Label punch. Finally, some 1/8 inch Early Espresso taffeta ribbon finishes it off. This is my take on the Clean and Simple Stamping FTL#149 here. The base is Tangerine Tango and I added some paper from Beyond the Garden DSP and some Tango DSP from the Patterns DSP Brights stack. I used some Melon Mambo for an accent and ran a piece of that thru the Scallop Edge Border punch. I stamped the flower from Fabulous Florets in Tangerine Tango on Whisper White, cut it out and popped it up with Stampin' dimensionals. 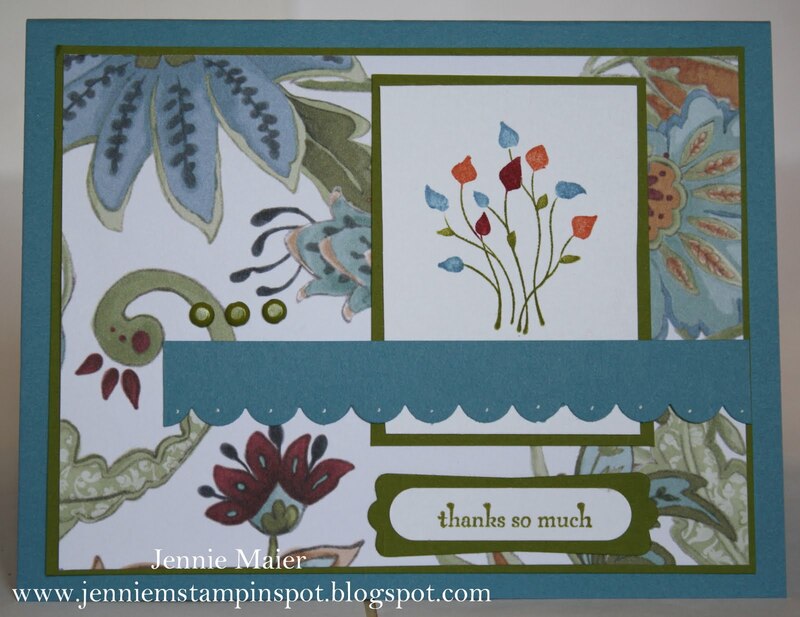 Finally, I stamped the greeting from Fabulous Florets in Melon Mambo. 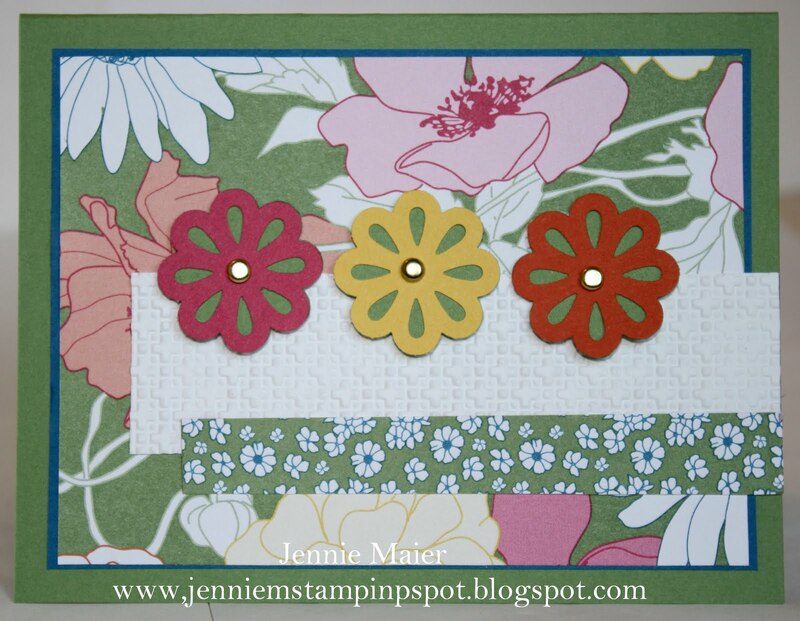 I saw this card on SplitcoastStampers and thought I'd make one in each of the new In-Colors. The base is Calypso Coral, Island Indigo, Lucky Limeade, Pool Party and Wisteria Wonder. I ran pieces of River Rock thru the Big Shot with both the Houndstooth and Vintage Wallpaper textured impressions embossing folders. I stamped the sentiment in coordinating colors and colored the flower stamp with the In-Color Stampin' Write marker and River Rock Stampin' Write marker. Finally, I added some 3/8 inch In-Color Ruffled ribbon. I made this fun & funky card for my daughter, Abby's birthday today. She's a beautiful, bright, fun-loving, caring, smart young lady and I'm proud to call her my daughter! I used the MojoMonday Sketch#199 here. The base is Concord Crush and I added some Melon Mambo before adding papers from the Cheerful Treat DSP. I stamped happy birthday to you from Crazy for Cupcakes in Melon Mambo and the cupcake from the same set in Basic Black. I colored it in with Concord Crush, Lucky Limeade and Melon Mambo and blender pens. I punched a 3/4 inch Circle of Cheerful Treat DSP. The 1 3/8 inch Circle punch was used on Whisper White and the 1 3/4 inch Scallop Circle punch on Melon Mambo. The 2 3/8 inch Scallop Circle punch was used on Lucky Limeade and the Circles #2 Big Shot die for the Whisper White circle. Create a Cupcake was used for the Limeade top and Melon and Concord bottom cupcake and then the Cupcake Builder punch to punch them out. I used my Concord Crush and Lucky Limeade Stampin' Write markers on the little flower. I ran some Limeade and DSP thru the Scallop Edge Border punch. Finally, some 1/2 inch Melon Mambo Scallop Dots ribbon finishes it off. I made this card for the PPA#102 here, Summertime. When I think of summer, I think of ice cream, specifically my favorite flavor, mint chip. I was also inspired by the wainscoting in the picture and used my new Stripes textured impressions embossing folder. 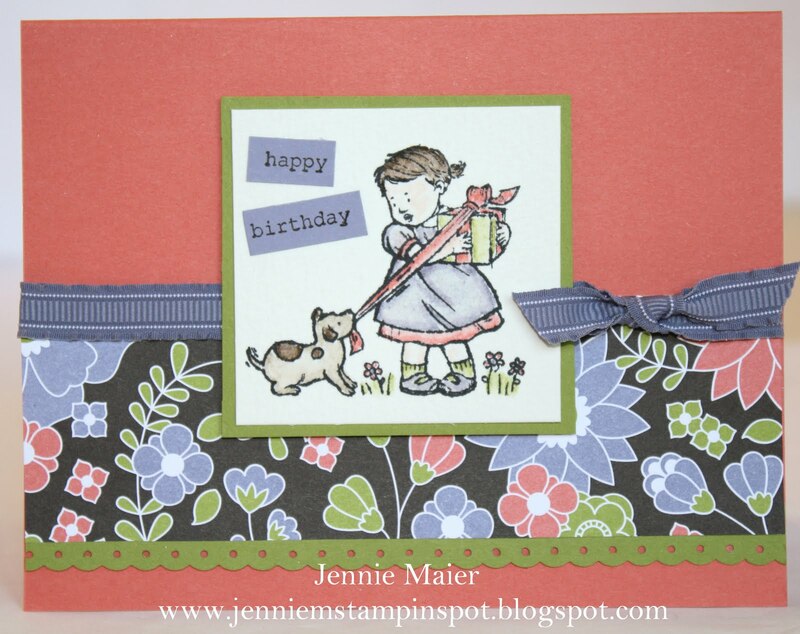 And I loved this card by Jen Sannes, so I used her ide but changed mine up a bit. The base is Crumb Cake card stock and I added some Early Espresso DSP from the Patterns DSP Neutrals Stack. I ran some Lucky Limeade thru the Big Shot with the Stripes embossing folder. I stamped the frosting from Create a Cupcake in Lucky Limeade, but stamped it off once for a more mint chip shade. I stamped the dots in Early Espresso and used the Cupcake Builder punch to punch out the frosting and the cherry. The cone is a triangle from Pennant Parade, stamped in Early Espresso. 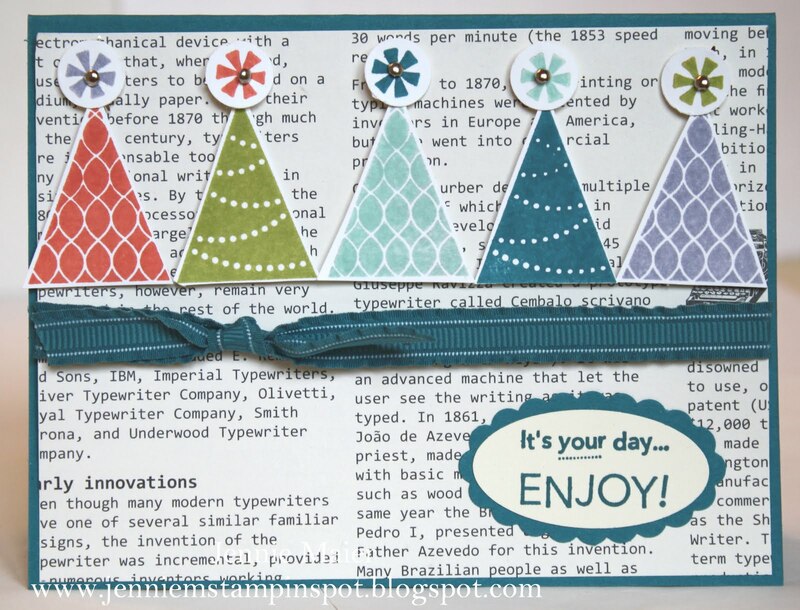 I popped up the entire cone with Stampin' dimensionals. The cone was adhered to a Whisper White circle punched with the 1 3/4 inch Circle punch, also popped up with Stampin' dimensionals. I stamped sweet treats from Teeny Tiny Wishes in Early Espresso. Finally, some 1/8 inch Early Espresso taffeta finishes it off. Since I had the new In-Colors out, I thought I'd used them with the Splitcoast Sketch#341 here. My base is Crumb Cake card stock and I added two patterns from the Berry Blossoms DSP. I stamped the flowers from Flower Fest in Calypso Coral, Lucky Limeade, Pool Party and Wisteria Wonder on Whisper White and matted it with some Lucky Limeade. 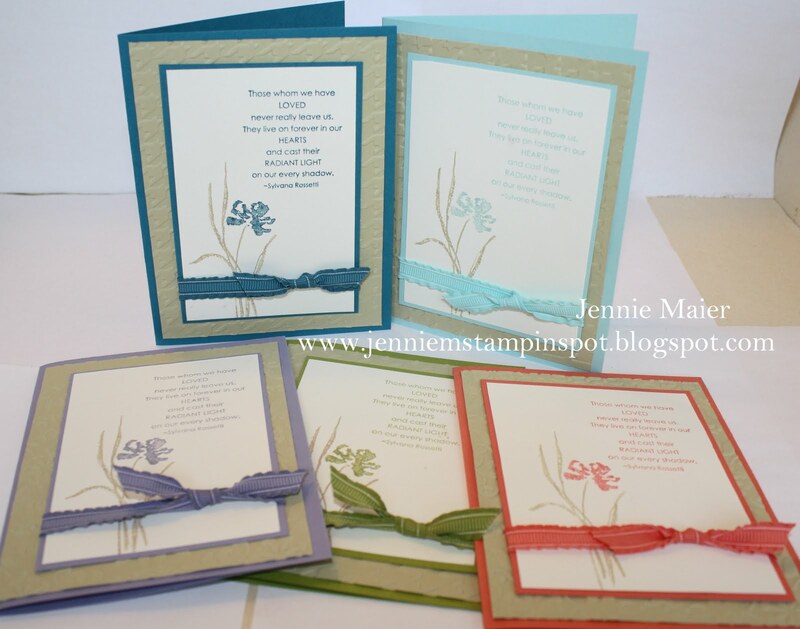 For a few of the flower centers I stamped them on the same color card stock and cut them out. Thank You from With All My Heart was stamped in Lucky Limeade and punched out with the Word Window punch. That was layered onto a Lucky Limeade piece punched with the Modern Label punch. Finally, some 3/8 inch Lucky Limeade Ruffled ribbon finishes it off. Since my other Clean & Simple card was so quick, I used this week's FTL#148 here at Clean and Simple Stamping to make another card. This one focuses on the new In-Colors, Calypso Coral, Island Indigo and Pool Party. The base is Pool Party card stock. I punched two Island Indigo circles with the 1 3/4 inch Circle punch. I ran them thru the Big Shot with the Houndstooth Textured Impression Embossing folder. I punched a Calypso Coral piece with the 2 1/2 inch Circle punch. I punched some Berry Blossoms DSP with the 1 3/4 inch Scallop Circle punch and popped it up with Stampin' dimensionals. I colored My Friend from the My Friend stamp set with my Calypso Coral and Island Indigo Stampin' Write Markers and stamped it on some Whisper White. I used the Boho Blossoms punch on some Pool Party and Calypso Coral card stock to create the little flowers.. A Calypso Coral Designer Printed Brad was used for the flower center. Finally, some 3/8 inch Island Indigo Ruffled ribbon finishes it off. I made this card with the Clean & Simple Stamping FTL#147 here. I started with a Rose Red card stock base and added some papers and die cuts from the Playful Polka Dots Simply Scrappin kit. 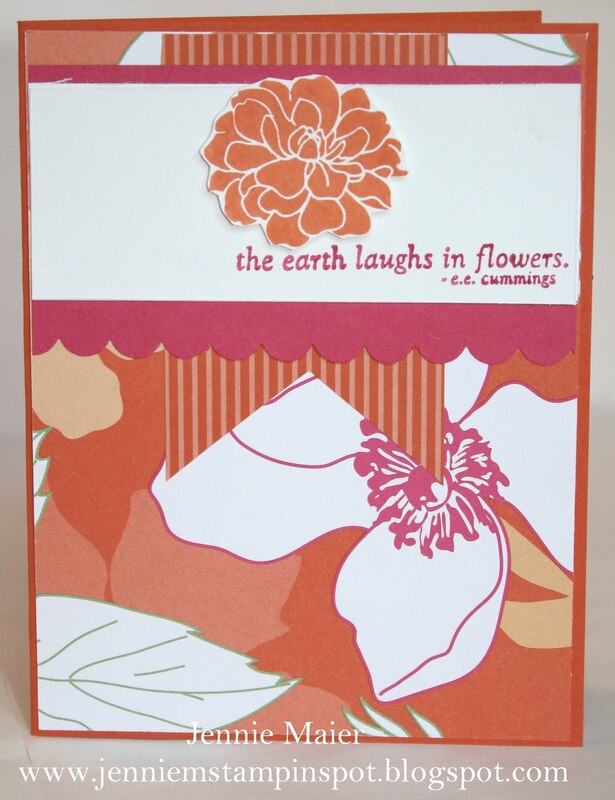 I stamped the flower from Flower Fest in Daffodil Delight, Pumpkin Pie and Rose Red and cut it out. I stamped it three times in Old Olive and cut out the center. I adhered those flowers to an Old Olive circle punched with the 1 3/8 inch Circle punch. I stamped "love" from Pennant Parade in Rose Red and punched it out with the 1 inch Circle punch. I added that to a Rose Red piece punched with the 1 1/4 inch Circle punch and another Old Olive circle. 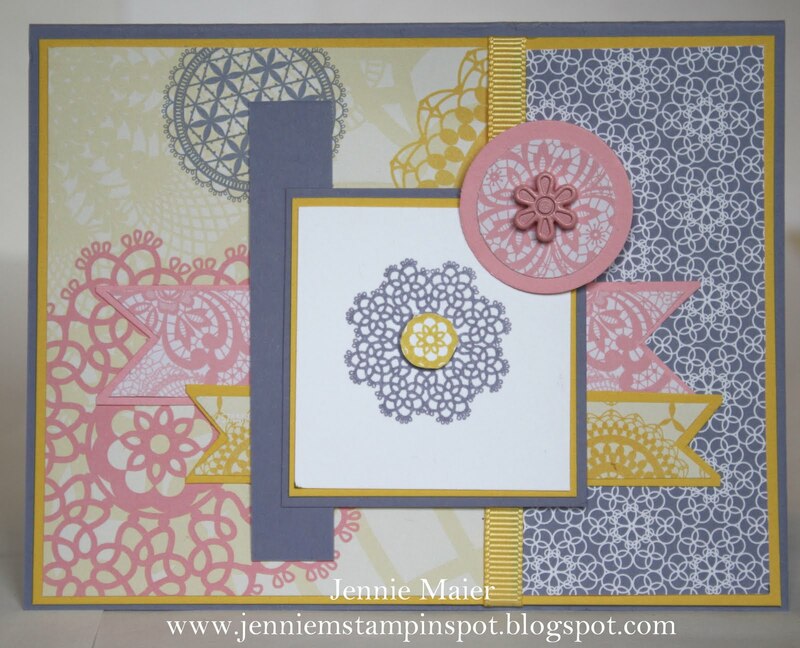 All circles were popped up with Stampin' dimensionals. Finally, I colored the little heart from With All My Heart in Rose Red, cut it out and popped it up with a tiny Stampin' dimensional. I saw this New Catalog Case Contest on Gretchen Barron's blog here and I had to play along! 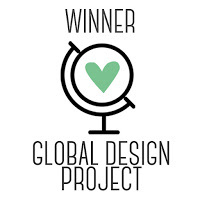 The object was to choose one project in the New Catalog and change it up to make it your own. I chose the hello friend card on page 75 because I ordered this darling set and wanted to play with it! My card has a Calypso Coral card stock base and then I added some Berry Blossoms DSP. I ran a strip of Lucky Limeade thru the Dotted Scallop Ribbon Border punch. I stamped the image from Little Friends with Jet Black StazOn ink on some Watercolor paper. I used my Calypso Coral, Crumb Cake, Early Espresso, Lucky Limeade and Wisteria Wonder Stampin' Write Markers and Blender pens to color in the image. I stamped happy birthday from that set in Early Espresso on some Wisteria Wonder and cut it out and adhered it to the image. Finally, some 3/8 inch Wisteria Wonder Ruffled Ribbon finishes it off. I made this bright birthday card for the Create with Connie and Mary Color Challenge#158 here, and with the Stamping 411 Sketch#211 here. The colors of the challenge are Pumpkin Pie, Basic Gray and So Saffron. 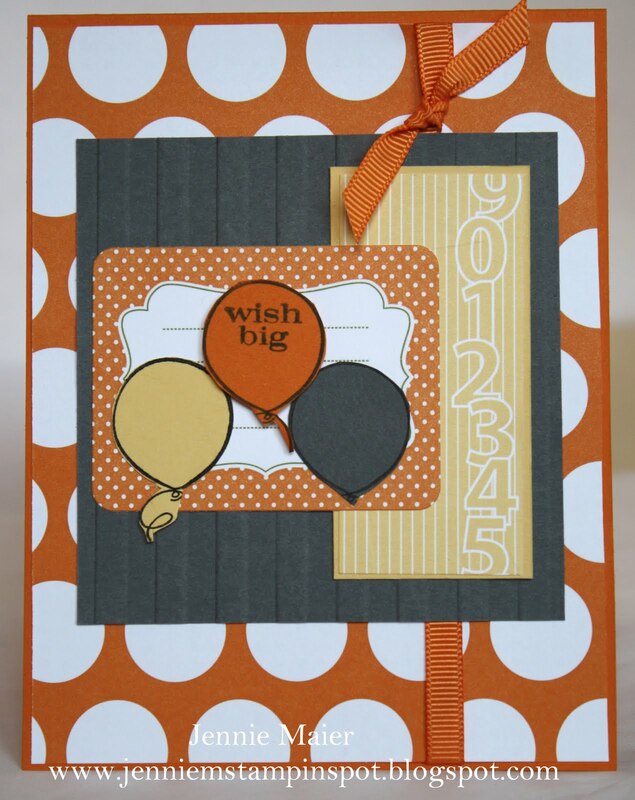 The base is Pumpkin Pie card stock and I added some DSP from the Playful Polka Dot Simply Scrappin Kit. I ran a piece of Basic Gray thru the Big Shot with the Striped Textured Impression Embossing Folder. I added a piece of Saffron DSP from Just Add Cake. The rectangular Pumpkin Pie polka-dotted piece is a die-cut from the Playful Polka Dot SS Kit. 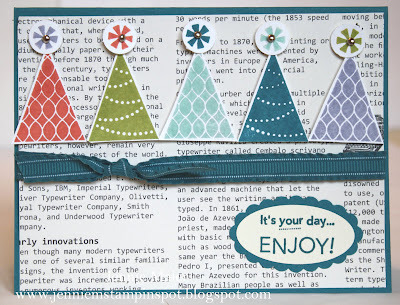 I stamped the balloons from Crazy for Cupcakes in Basic Gray ink on So Saffron, Pumpkin Pie and Basic Gray card stock. I added the wish big sentiment from Pennant Parade to the Pumpkin Pie one and popped it up with a Stampin' dimensional. Finally, some 1/4 inch Pumpkin Pie grosgrain finishes it off. 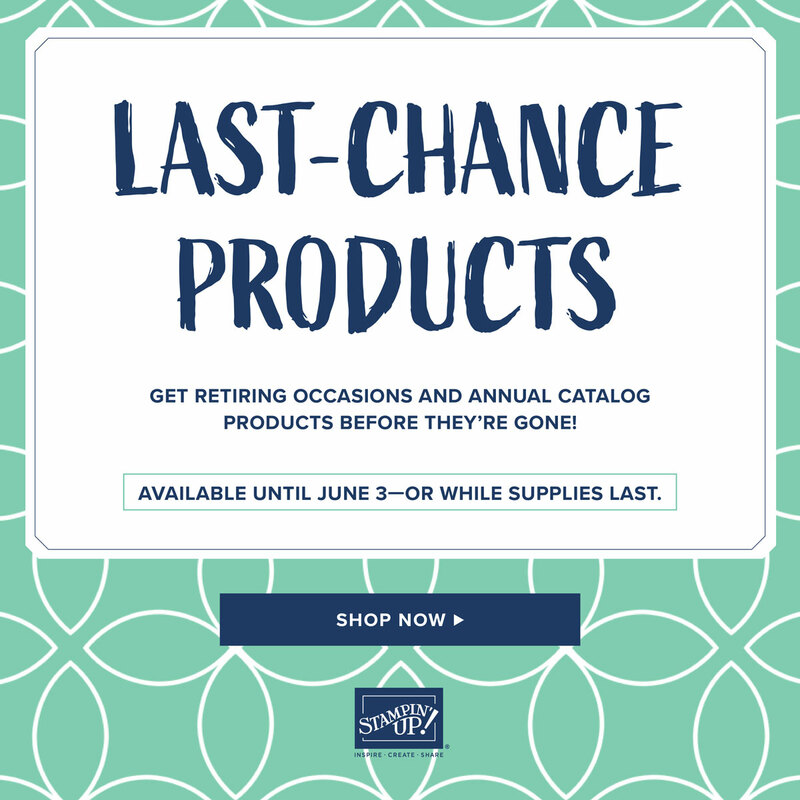 I'm having fun playing with new catalog goodies and getting ready for my Open House. 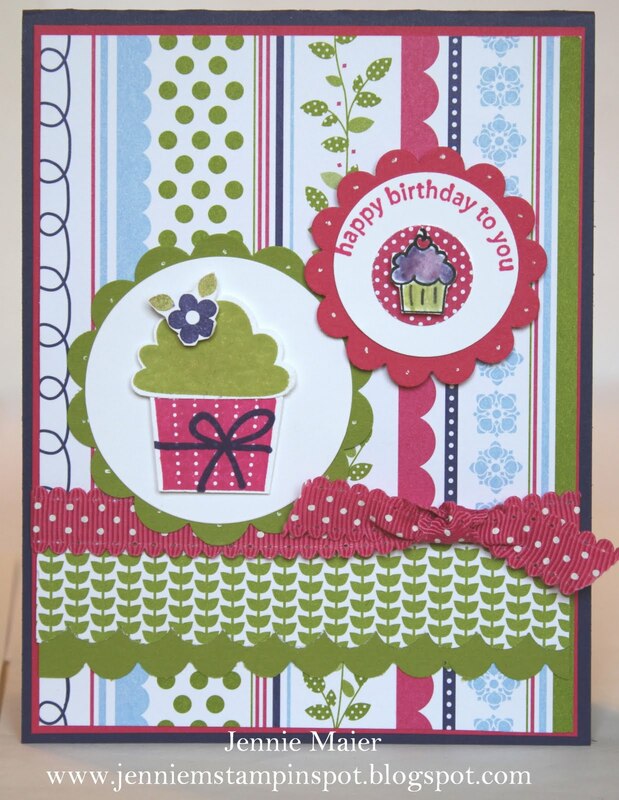 I made this card with lotsa new stuff: Bring on the Cake stamp set, Cheerful Treat DSP, Houndstooth Textured Impressions Embossing Folder and some Lucky Limeade 3/8 inch Ruffled Ribbon. The base is Concord Crush card stock. I ran a piece of Wisteria Wonder thru the Big Shot with the Houndstooth embossing folder and some Melon Mambo thru the Scallop Edge Border punch. I also added some Cheerful Treat DSP. I colored in the cake image from Bring on the Cake with my Bashful Blue, Concord Crush, Lucky Limeade, Melon Mambo, Pink Pirouette and Wisteria Wonder Stampin' Write Markers. That was stamped onto a Whisper White circle cut with the Circles #2 Big Shot Die.Then I used the 2 3/8 inch Scallop Circle punch on a Concord Crush piece of card stock. I stamped the sentiment from Bring on the Cake in Wisteria Wonder, punched it out with the Word Window punch and layered it onto a Wisteria Wonder piece punched with the Modern Label punch. I added some White Gel pen dots to the Mambo and Concord scallops. Finally, some 3/8 inch Lucky Limeade Ruffled Ribbon finishes it off. This card was made for the MojoMonday Sketch#198 here. The base is Wisteria Wonder card stock and then I added some Daffodil Delight before adding papers from the Flirtatious Specialty DSP. I stamped the doily from Delicate Doilies in Wisteria Wonder and again in Daffodil Delight, cutting out and popping up the center with a Stampin' dimensional. I punched some DSP with the 1 inch Circle punch and some Pretty in Pink with the 1 1/4 inch Circle punch. 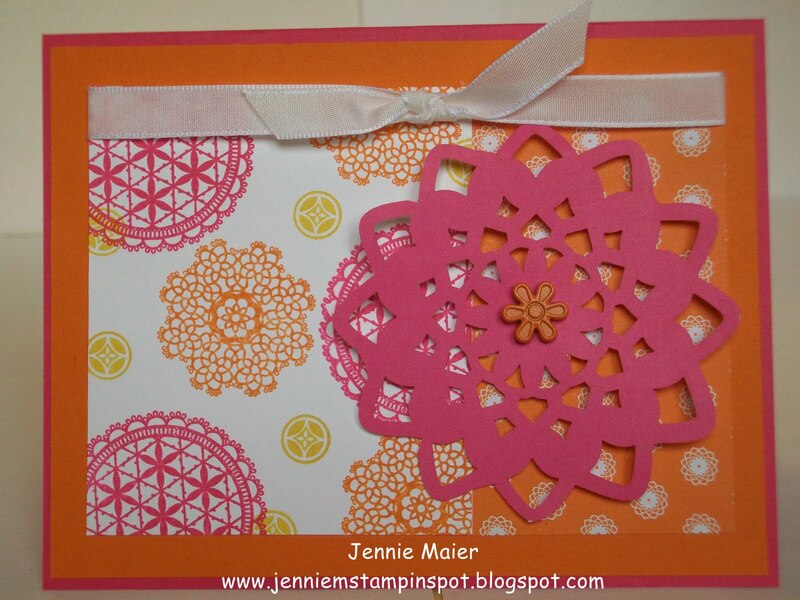 I added a Pretty in Pink Flower Brad to the center of the circles and popped it up with Stampinn' dimensionals. Finally, some 1/4 inch Daffodil Delight grosgrain finishes it off. New In-Colors with New Catty Goodies! My order with New Catalog goodies arrived so I ripped it open and had to play. I've had this idea in my head for a while and I loved how this card turned out, if I do say so myself! I started with a base of Crumb Cake card stock and added some Crumb Cake DSP from the Patterns DSP Neutrals Stack. I used the Corner Rounder punch on the bottom corners.The Blossom Bouquet Triple Layer Punch was used to create the flowers with Crumb Cake, Whisper White, Calypso Coral, Wisteria Wonder, Lucky Limade, Pool Party and Island Indigo card stock. I added a Designer Printed Brad in each color to the center of the flowers and popped them up with Stampin' dimensionals. I colored in the Hello stamp from the Posy Punch Hostess Stamp set with the same In-Color Stampin' Write markers and the Crumb Cake Stampin' Write marker. I punched the hello out with the 1 inch Circle punch and trimmed it down to layer it onto a Cumb Cake Circle punched with the 1 inch Circle punch. Finally, I popped up that flower too. I made this quick card for the Splitcoast Sketch#340 here. It uses the stamp sets Four Frames and Pennant Parade and the Just Add Cake DSP. Wild Wasabi card stock is the base and I added two patterns from the Just Add Cake DSP. I ran a strip of So Saffron thru the Dotted Scallop Ribbon border punch. I stamped the frame from Four Frames in Wild Wasabi and used the Decorative Label punch to punch it out. 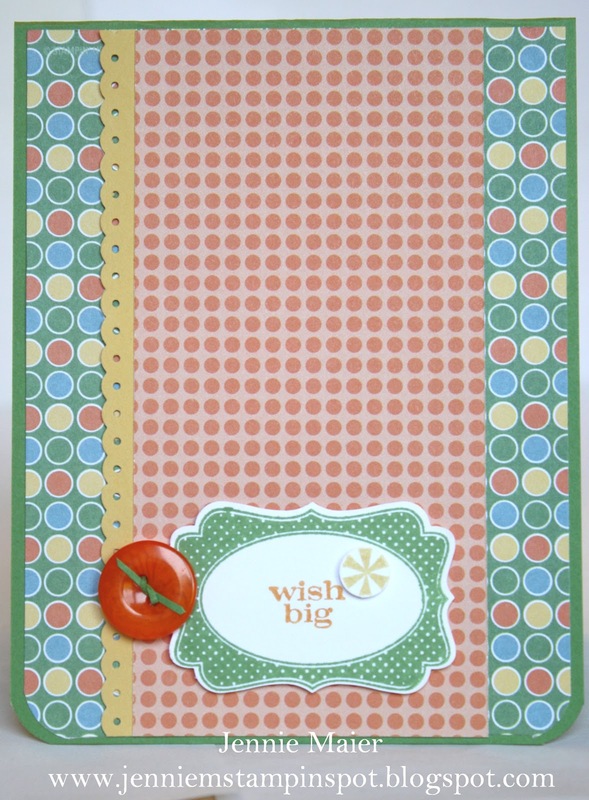 I stamped wish big from Pennant Parade in Peach Parfait and the asterisk in So Saffron, punching it out with the Itty Bitty Shapes punches pack. I popped the asterisk and the entire Wasabi frame up with Stampin' dimensionals. Finally, I threaded a Pumpkin Pie Brights Designer Button with a sliver of Wild Wasabi and adhered it with Glue dots. This card uses the stamp set Pocket Silhouettes and Paisley Petals DSP. I also used the Stamping 411 Sketch#210 here. I started with Marina Mist card stock and some Old Olive card stock then added some Paisley Petals DSP. I colored the stamp from Pocket Silhouettes with my Cherry Cobbler, Marina Mist, Old Olive and Tangerine Tango Stampin' Write markers. I ran a piece of Marina Mist thru the Scallop Edge Border punch and added some dots with my White Gel Pen. 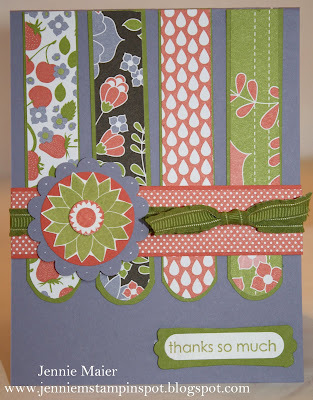 I stamped thanks so much from Pocket Silhouettes in Old Olive and punched it out with the Word Window punch. I matted it with some Old Olive punched with the Modern Label punch. Finally, I added three Old Olive Brights Brads above the Marina Mist scalloped piece. This one was made for the Create with Connie and Mary Sketch#157 here. The base is Wild Wasabi and I added some Pacific Point and papers from the Beyond the Garden DSP. I ran a piece of Whisper White thru the Big Shot with the Square Lattice embossing folder. I punched out three flowers with the Blossom Bouquet Triple Layer punch and Wild Wasabi, Melon Mambo, Tangerine Tango and Daffodil Delight. I added Gold brads to the centers and popped them up with Stampin dimensionals. Here's a sample using goodies from the Flirtatious Product Suite. In the new catty there are pages showcasing different "product suites", in that each have stamps, papers, fabric and embellishments that all coordinate perfectly! 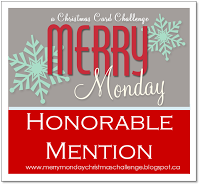 This card was made using the Stampin' Celebration Inspiration Challenge #52 here. The base is Melon Mambo card stock and then I added some Pumpkin Pie card stock. On a piece of Whisper White I used the Delicate Doilies and Circle Circus stamp sets with Daffodil Delight, Melon Mambo and Pumpkin Pie Classic Stamp pads. Then on the right I added some DSP from the Flirtatious Specialty DSP. I also added a Melon Mambo laser-cut doily from that DSP. In the center I added a Pumpkin Pie Flower Brad and popped up the doily with Stampin' dimensionals. Finally, a piece of 3/8 inch Whisper White taffeta ribbon finishes if off. Today's the day! 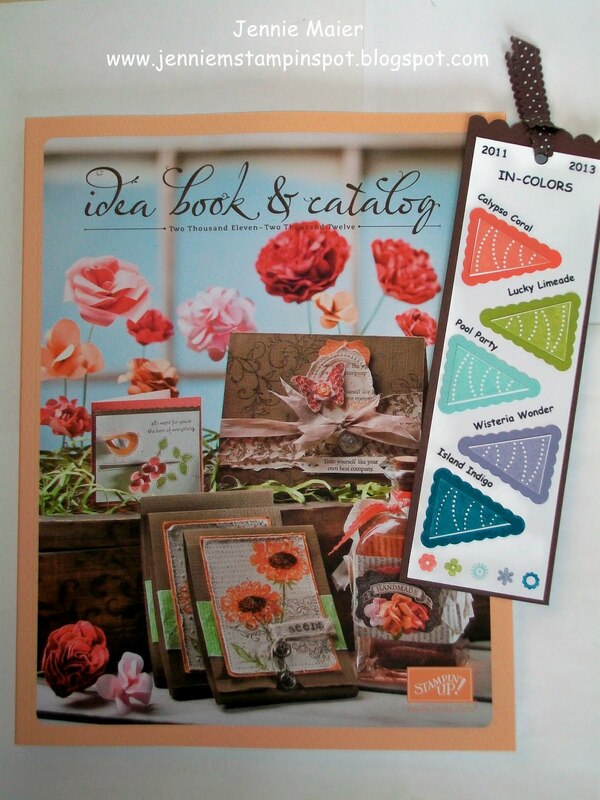 We can order from the 2011-2012 Idea Book & Catalog. I've pictured the catty with bookmarks I made to give away to my customers with their new catties. I got the idea from Brenda Quintana, just changed them up a bit for my needs. Here's a link to her original ones on Splitcoast. The new colors are Calypso Coral, Island Indigo, Lucky Limeade, Pool Party and Wisteria Wonder. I used the new set, Pennant Parade and coordinating Petite Pennants Builder punch on the bookmarks. Also, the ribbon is new 1/2 inch Chocolate Chip Scallop Dots grosgrain ribbon. And the bottom row of flowers is from the Printed Petals stamp set and I just colored them in with the new In-Color Stampin' Write markers. I will be holding a New Catalog Open House at my home on Wednesday, July 20th from 6-9pm. If you attend the Open House you can get your New Catalog for only $5, or FREE with a $25 order! I will have a Make & Take, Door Prizes and refreshments. 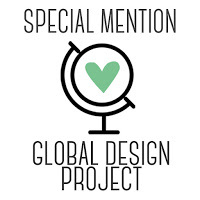 I will also have sign-ups for a Ribbon Share, Designer Series Paper Share, Monthly Stamp Clubs and Parties if interested. Please RSVP by Wed, July 13th and please feel free to bring a friend or two! If you would like your catalog before the Open House please call me or email me and I can get your copy to you sooner! If you live in SE Wisconsin and don't have a demo I'd love for you to come. I can't wait to get my goodies from the catty-lots of cute stuff! Look for more samples to come on my blog!